Since its registration in Jan 1998, MVS is consistently engaged in initiating efforts to promote new bodies to serve its cause. After JD, the MVS promoted the construction of Maharaj Vinayak General Hospital, replete with all departments of medicine & surgery and is progressing on its expansion plans. 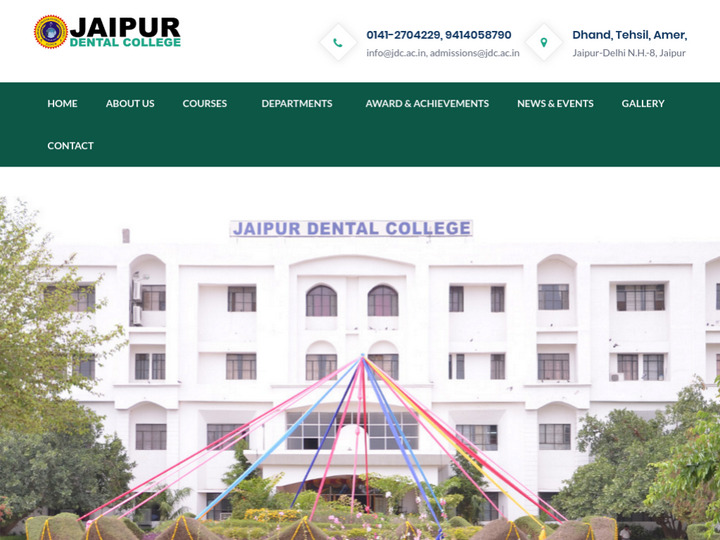 Next in their lineage came Jaipur Nursing College, the first in the private sector to satiate the dearth of qualified & trained nursing staff in our state. In year 2004 the next achievement was the establishment of Rajasthan’s first college of Physiotherapy & Occupational Therapy for training students in the alternative healing systems that are an integral part of rehabilitative & therapeutic supplements & now extensively in demand. The most recent achievement being starting MDS in all the 9 Specialties.